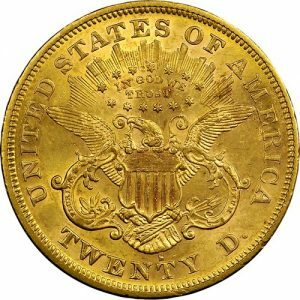 First put into circulation in 1850, the Gold pre-1933 $20 Liberty was the largest denomination of its time. 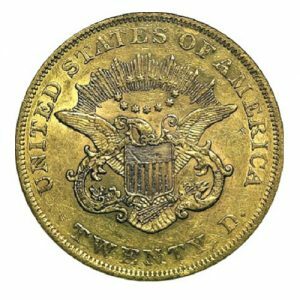 With twice the content of the $10 Eagles, it was dubbed a “double eagle”. 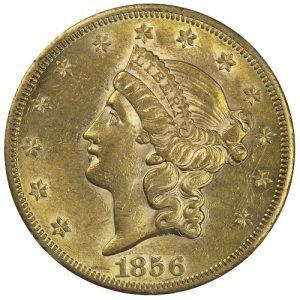 The obverse, designed by US Mint Chief Engraver James B. Longacre, features a left facing Lady Liberty, the word LIBERTY on her coronet, surrounded by 13 stars, with the date below her and Longacre’s initials at the truncation of her head. This classic Greco-Roman design remained in circulation for over 50 years. 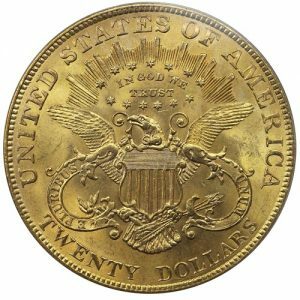 Longacre’s reverse depicts a heraldic eagle with wings fully extended; clutching a double ribbon inscribed E PLURIBUS UNUM. 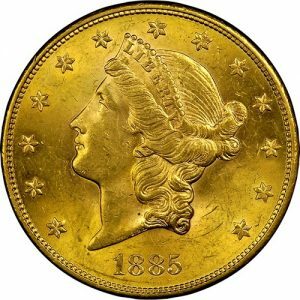 The 1850-1866 reverse (Type I), featured UNITED STATES OF AMERICA and TWENTY D. In 1866, the motto IN GOD WE TRUST was added inside of the halo of 13 stars above the eagle. This Type II version was in production through 1876. 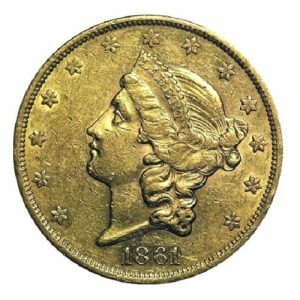 In 1877, a third modification (Type III) spelled out the word DOLLARS.